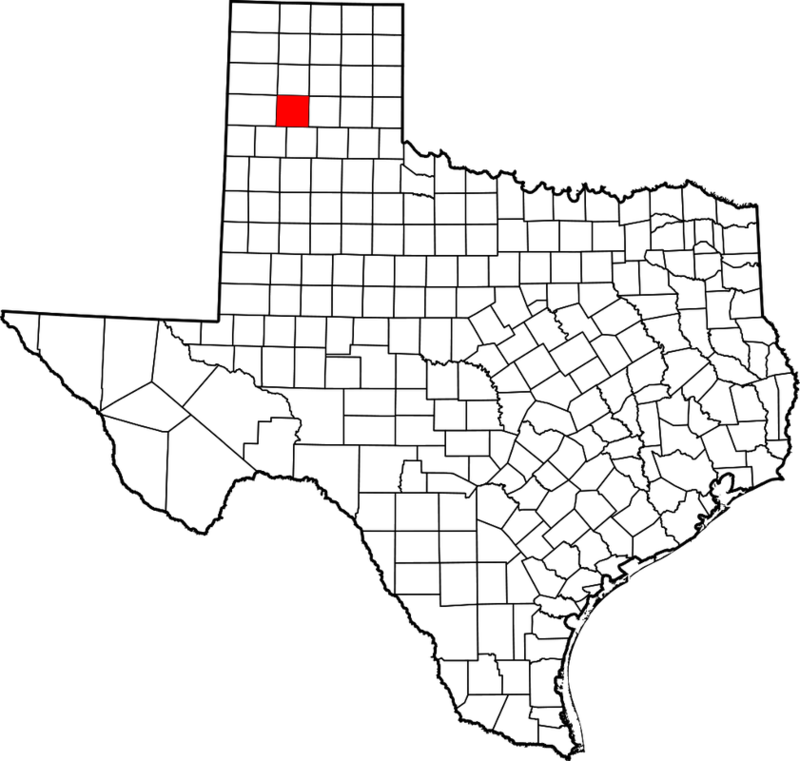 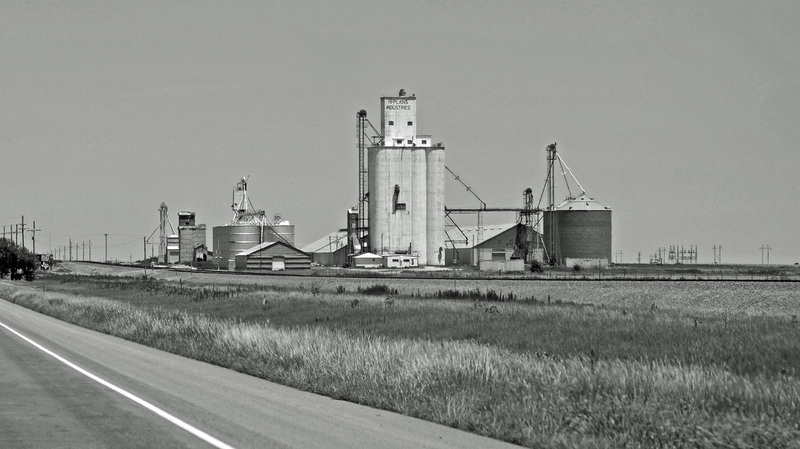 "Randall County, on the Llano Estacado near the center of the Panhandle, is bordered by Potter County to the north, Carson County to the northeast, Armstrong County to the east, Swisher County to the southeast, Castro County to the southwest, Deaf Smith County to the west, and Oldham County to the northwest. 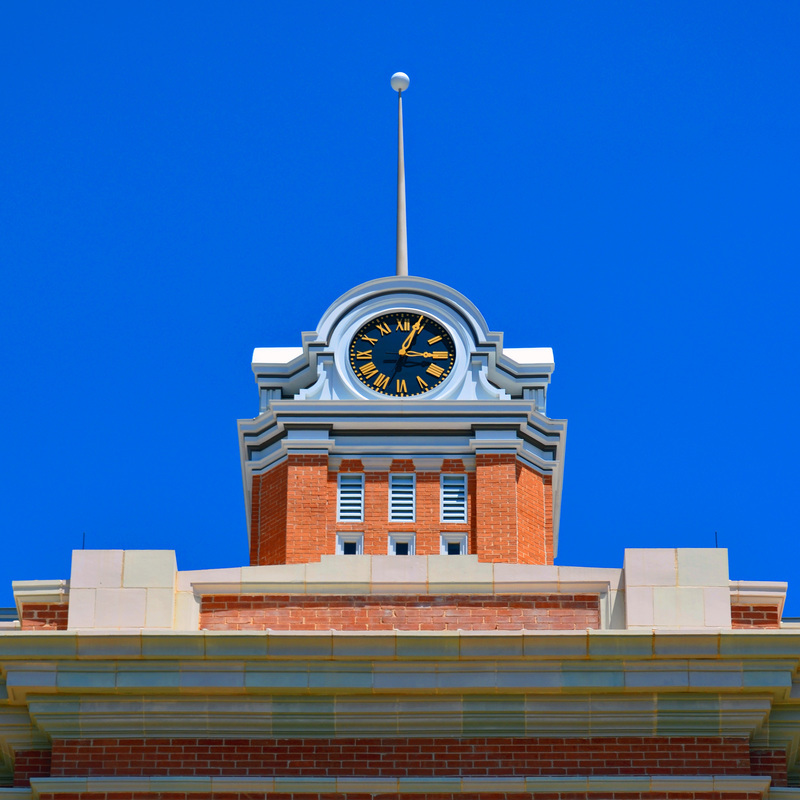 Randall County has an area of 922 square miles that extends over an eastward sloping tableland broken by the Prairie Dog Town Fork of the Red River, which flows through Palo Duro Canyon, and its tributaries, Palo Duro and Tierra Blanca creeks. 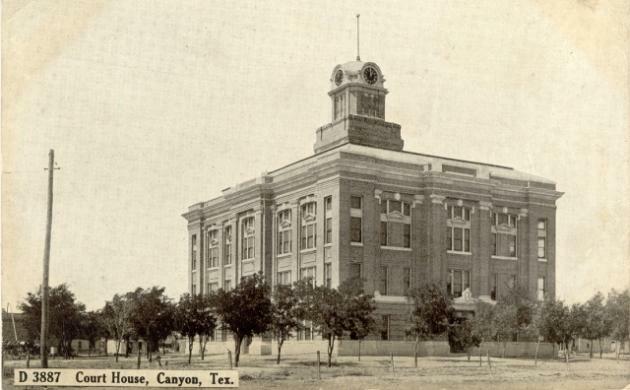 The elevation is 3,000 to 3,800 feet above mean sea level; the canyons range from 50 to 1,750 feet in depth. 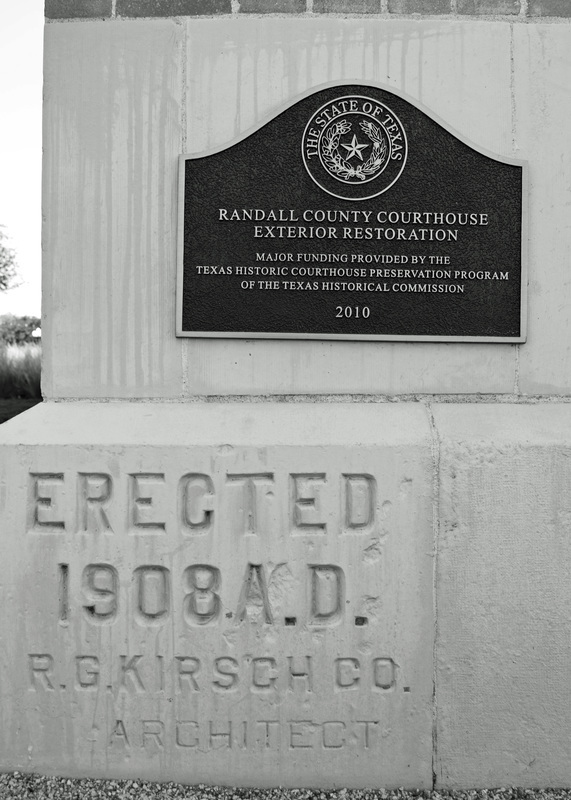 "Randall County was separated from Bexar County in 1876 and named for Horace Randal, Confederate brigadier general killed at the battle of Jenkins' Ferry, Arkansas, in 1864; a clerical error doubled the 'l' in the name. 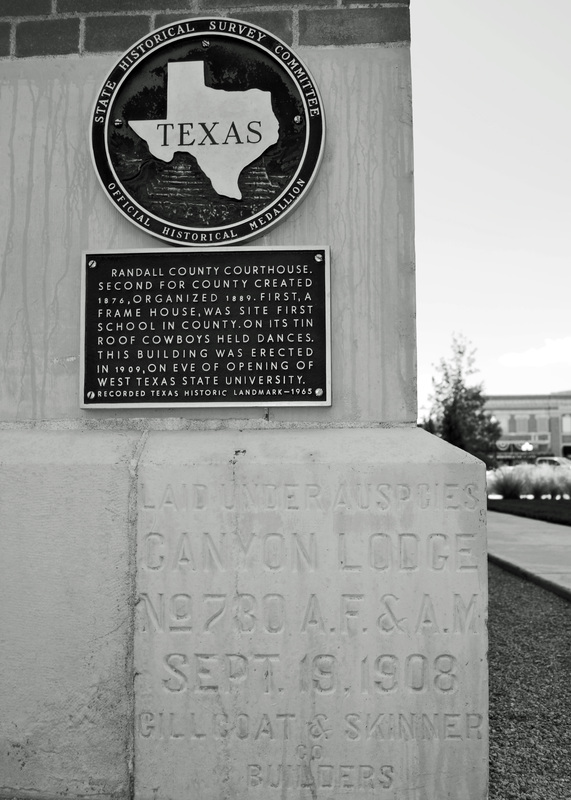 Settlement began in 1876 when Charles Goodnight drove 1,600 cattle into Palo Duro Canyon and established his Old Home Ranch. 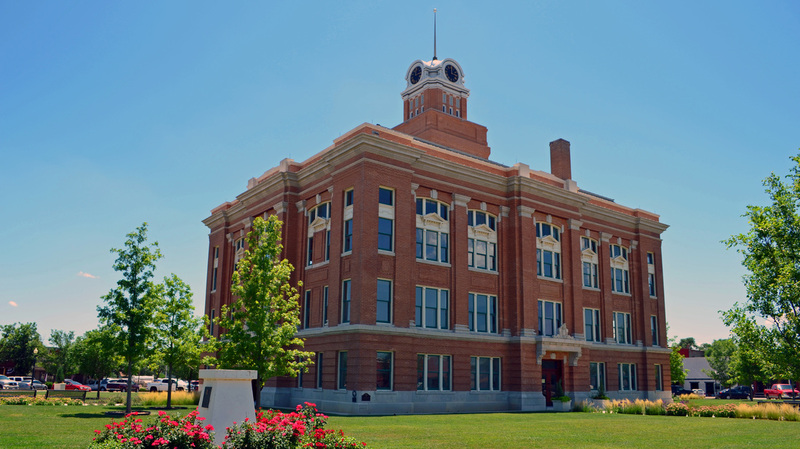 "The county was unorganized from 1876 to 1889 and was attached successively to Jack County (1876–79), Wheeler County (1879–81), Oldham County (1881–83), Donley County (1883–85), Oldham County again (1885–89), and Potter County (1889). 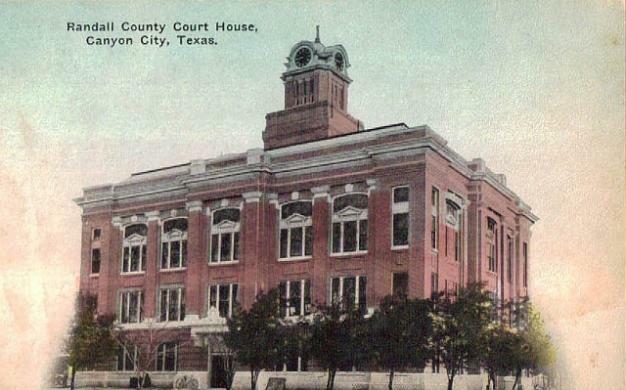 200 petitioners led by Lincoln G. Conner successfully arranged for an election, held in July 1889 at Conner's dugout. 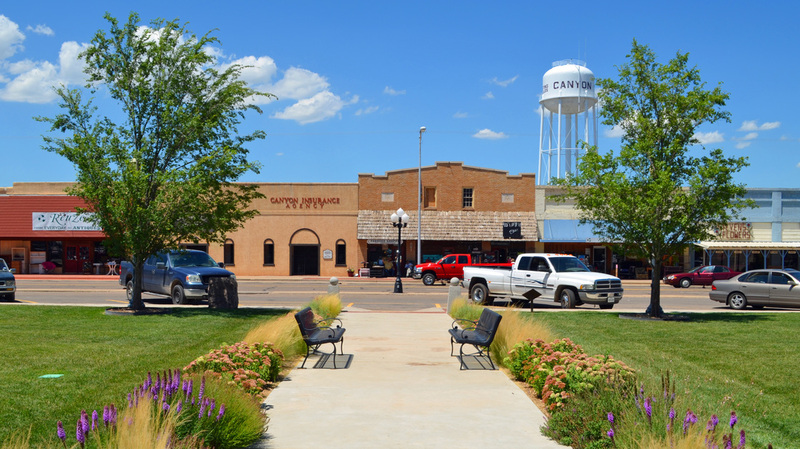 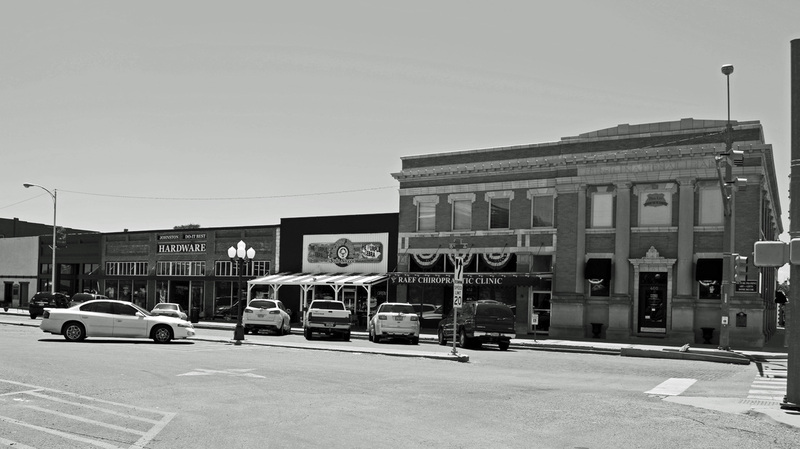 Canyon City (later Canyon), which Conner had laid out earlier that year, was elected county seat." 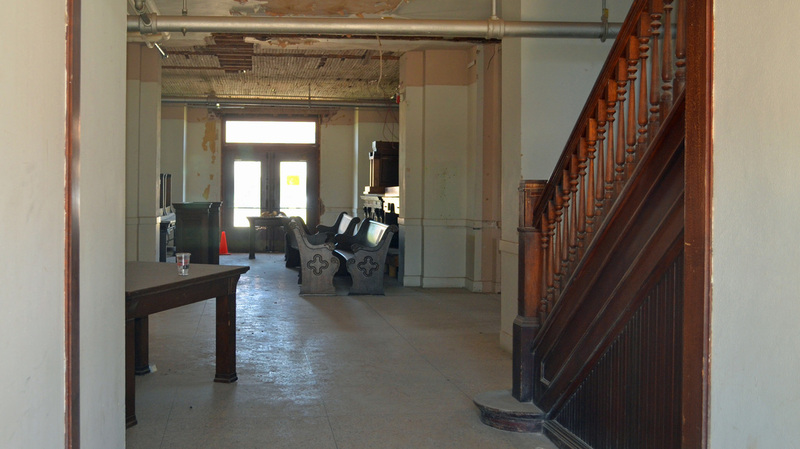 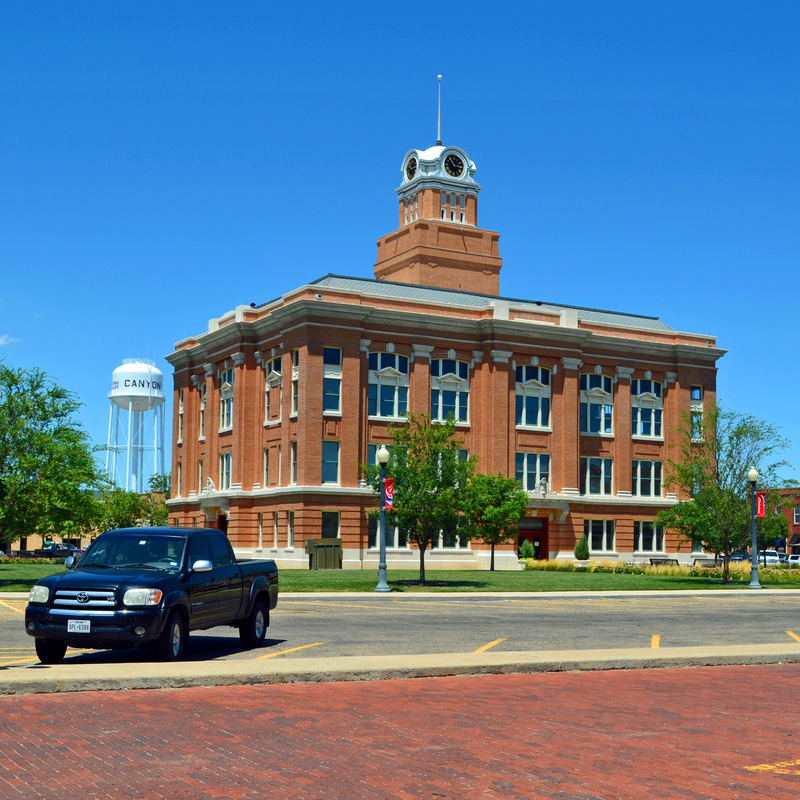 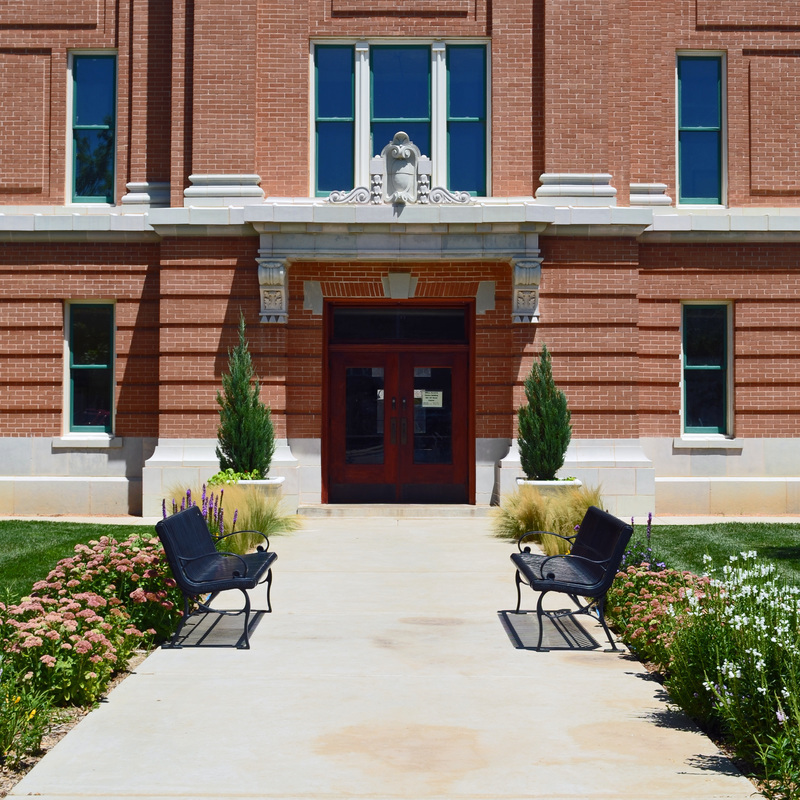 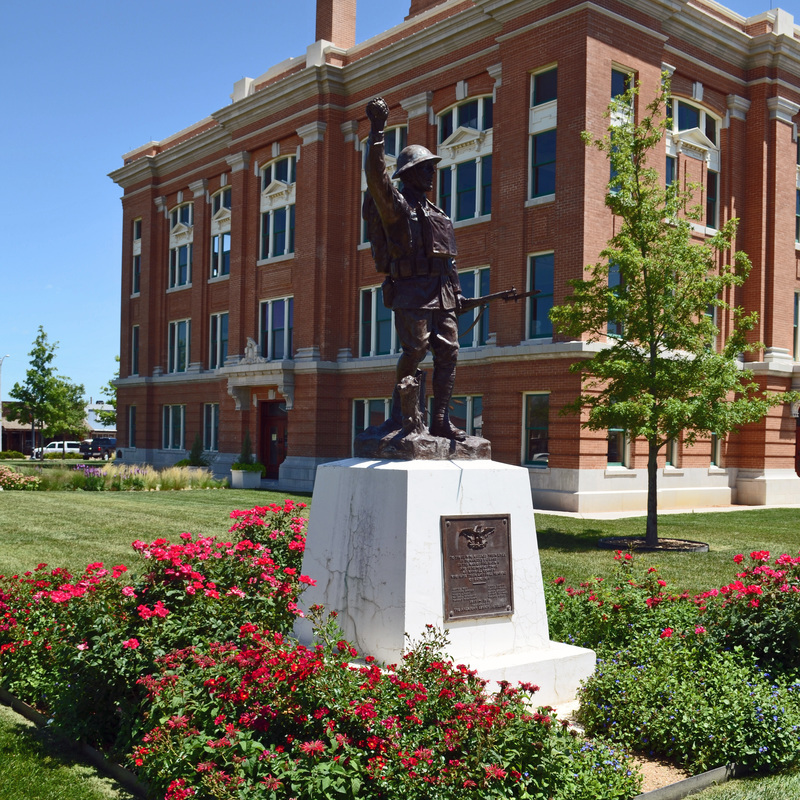 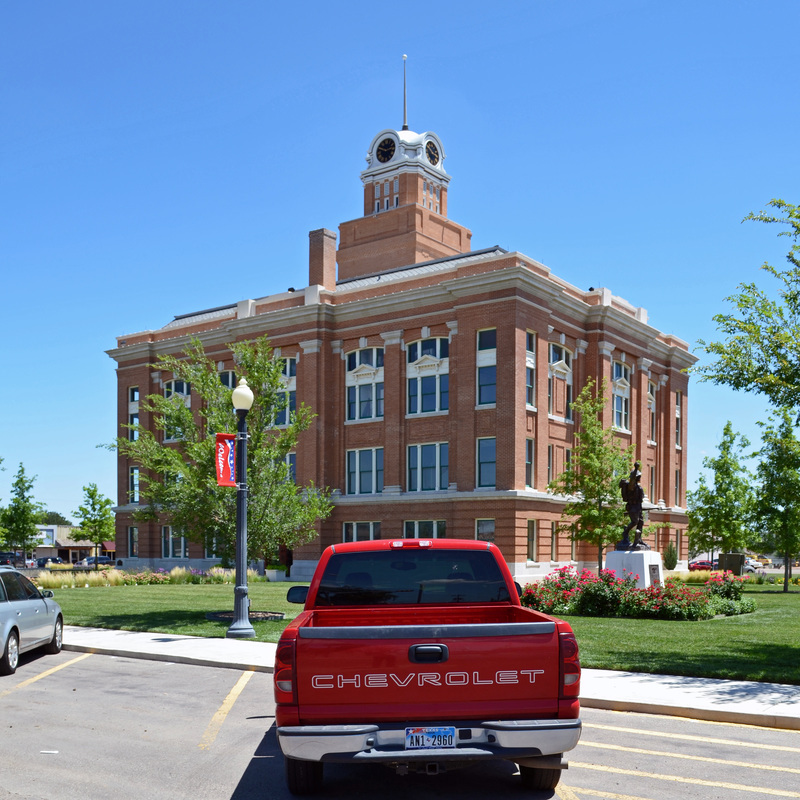 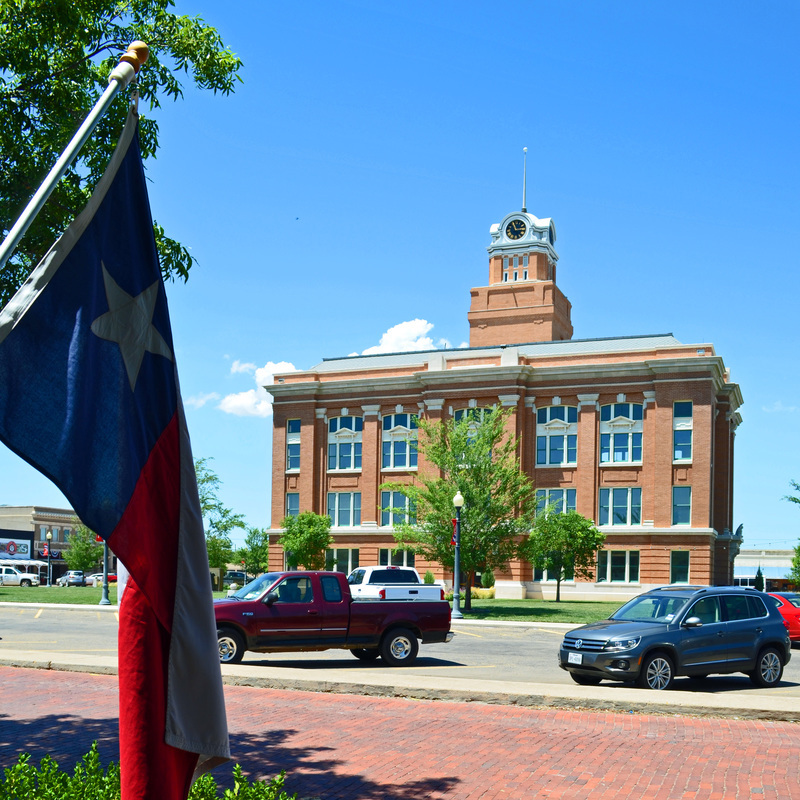 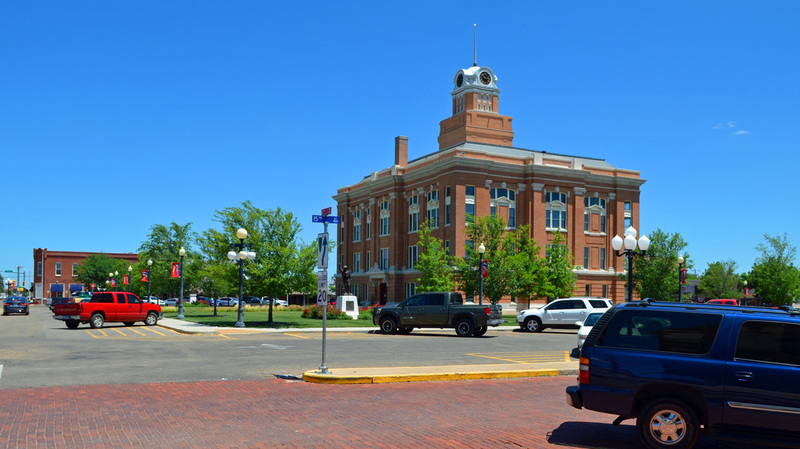 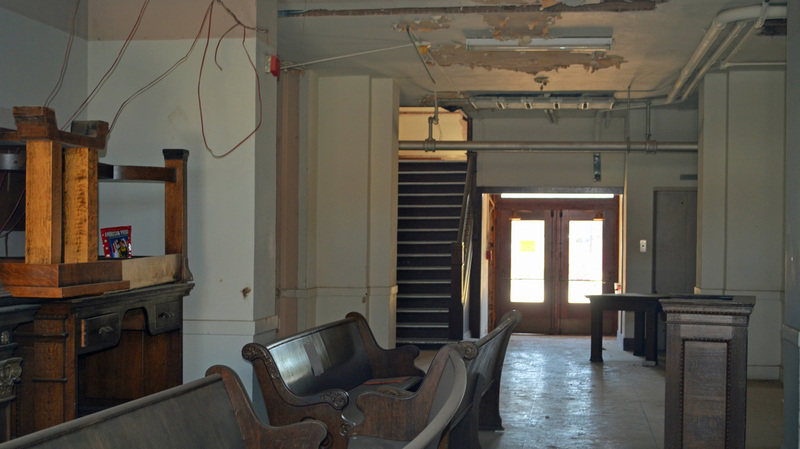 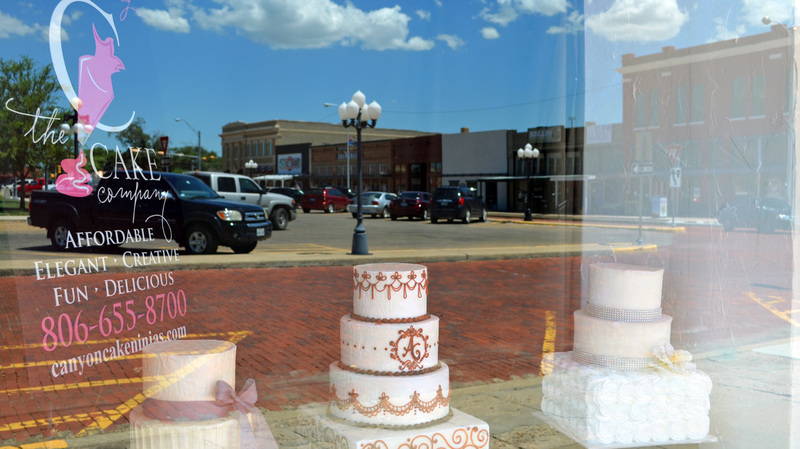 I visited Randall County on Monday, July 13 and Tuesday, July 14, 2015 and photographed the courthouse in Canyon. 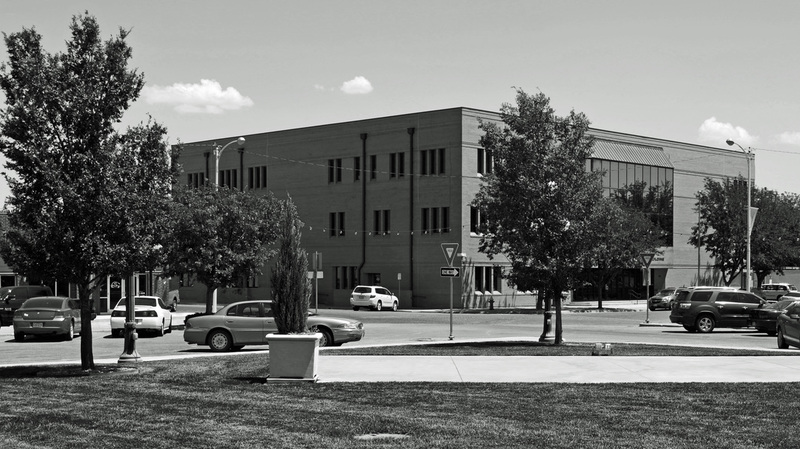 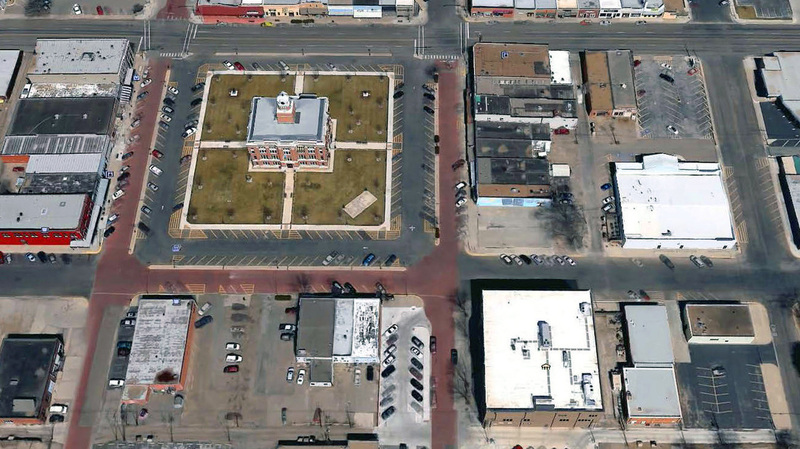 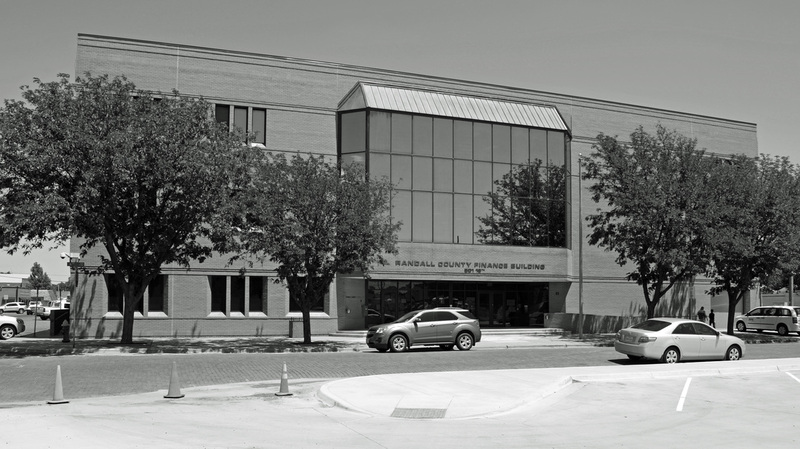 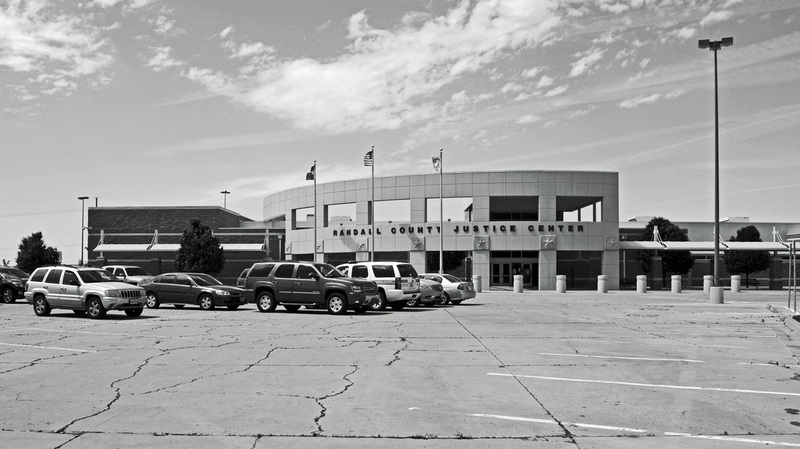 The Randall County Justice Center, 2006, Sims Parge Architects, Amarillo.